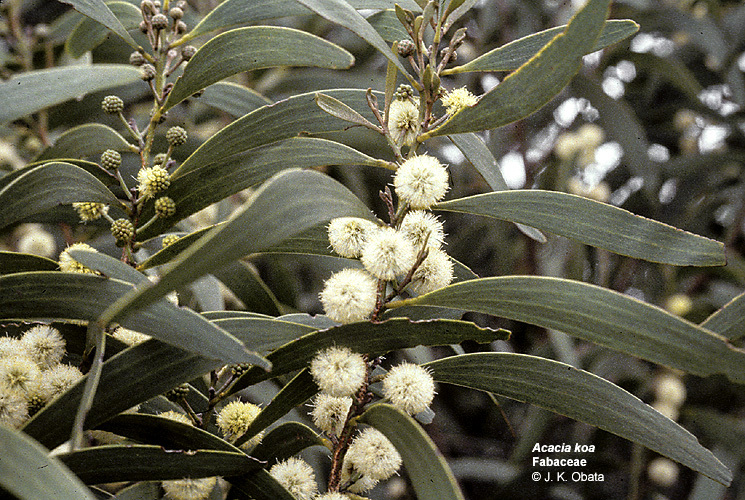 Acacia koa, koa, koai'a, koai'e, koa'oha, endemic. 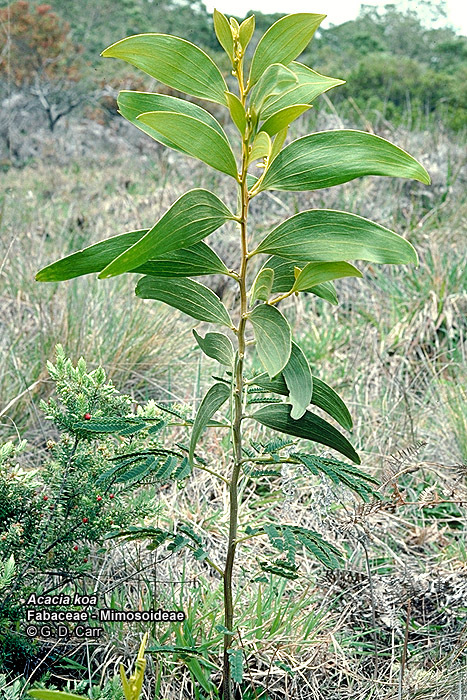 Saplings exhibit a transition from the production of juvenile bipinnately compound leaves to highly modified structures called phyllodes that are more efficient in water utilization. 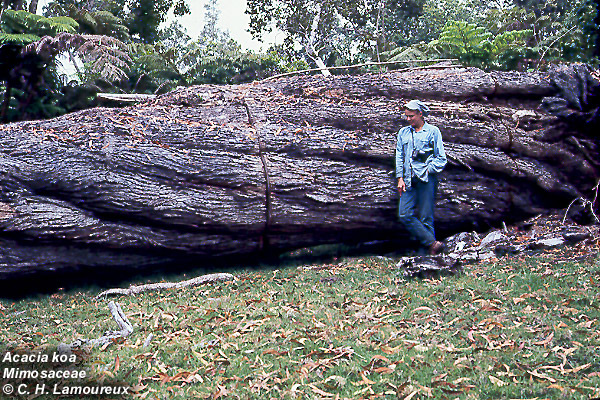 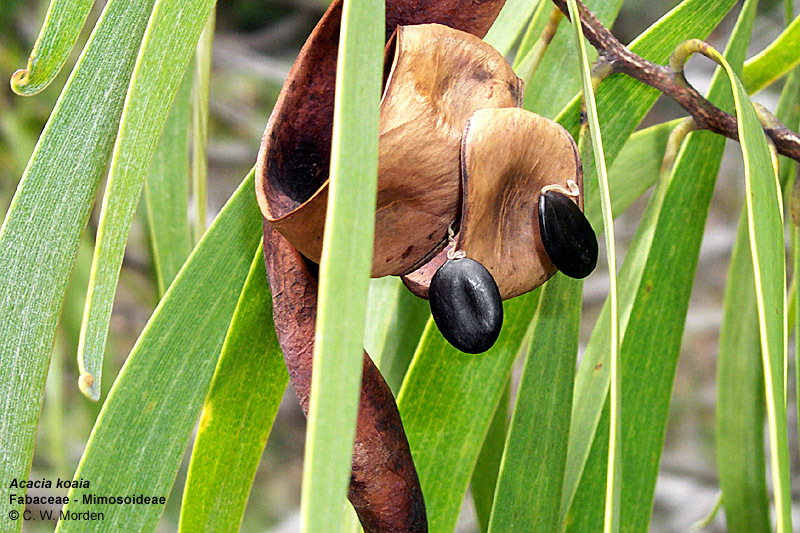 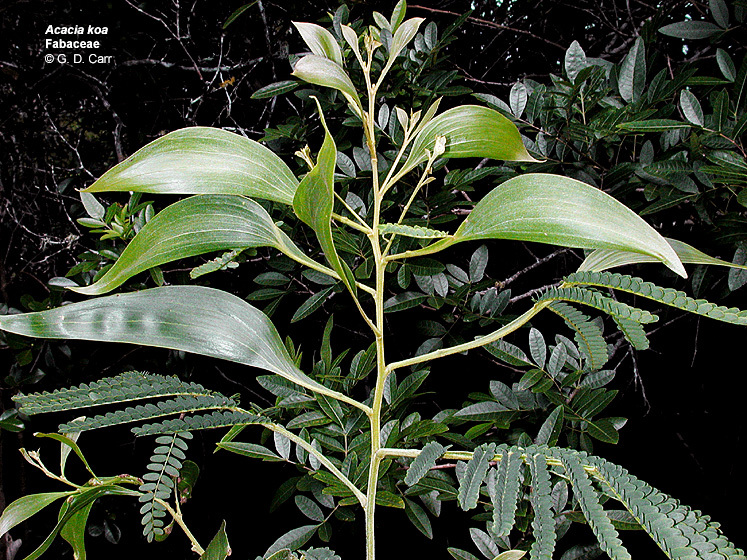 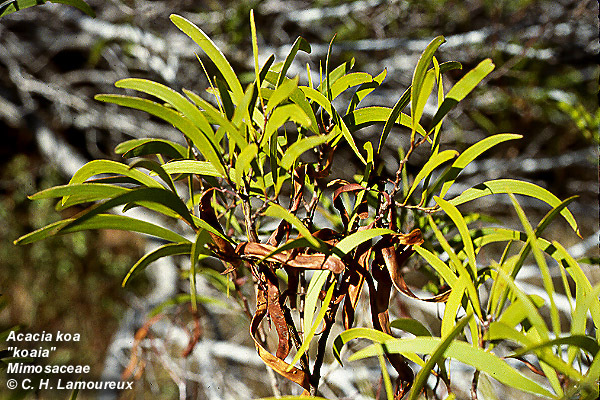 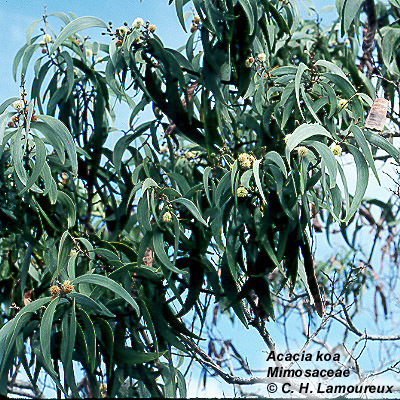 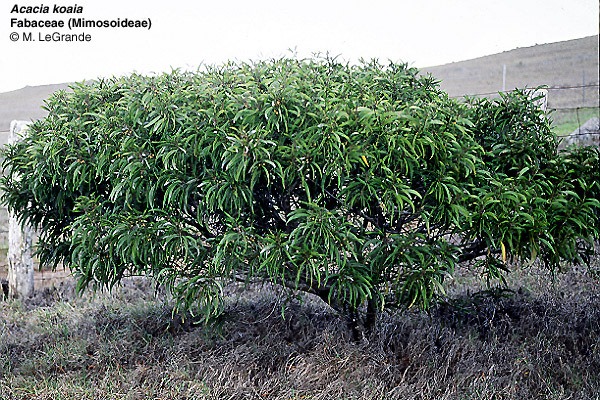 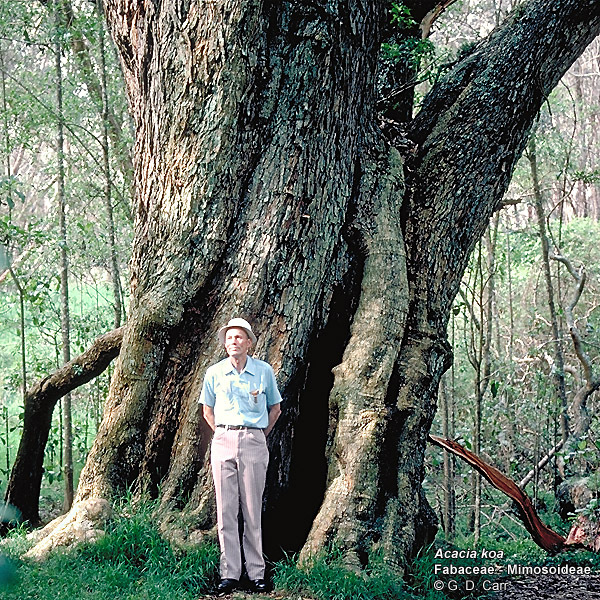 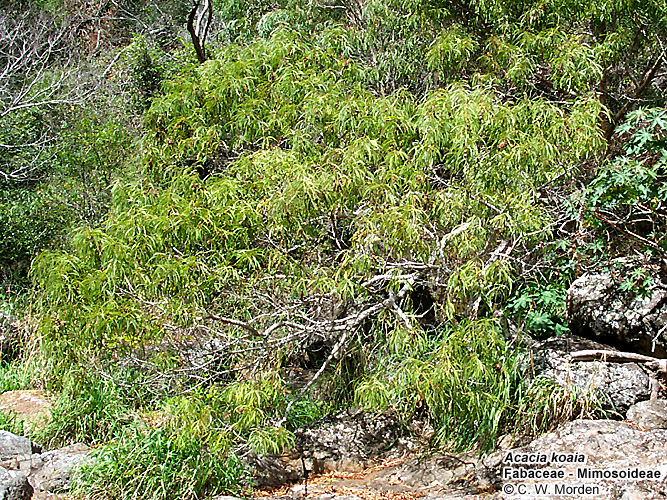 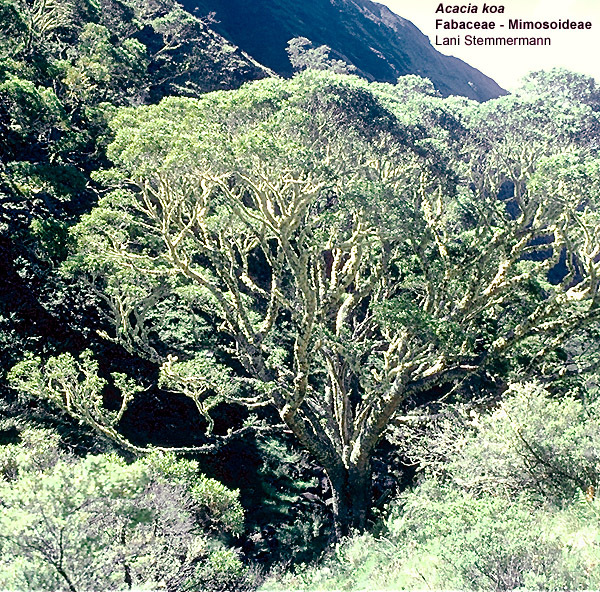 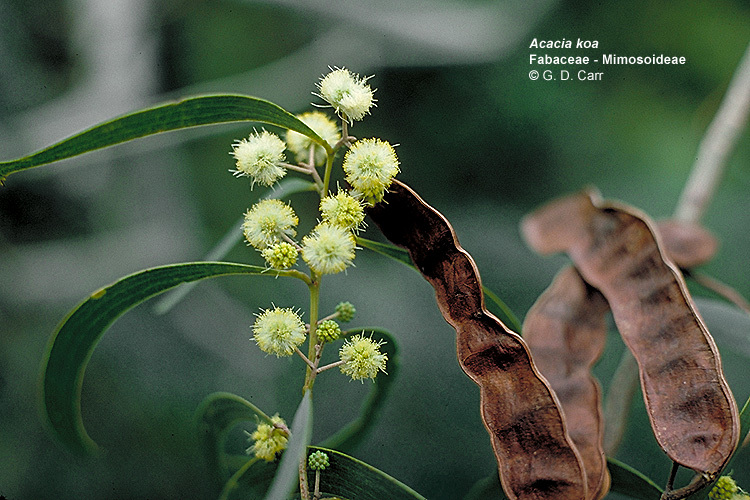 Acacia koaia, koa, koai'a, koai'e, koa'oha, endemic, 1,2 - Kaua'i, 3,4 - Kohala, Hawai'i.